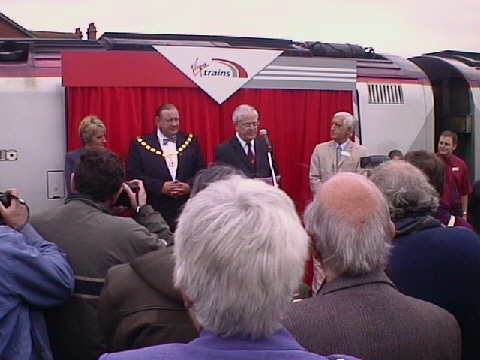 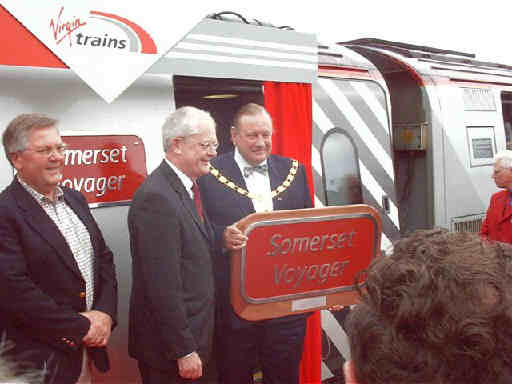 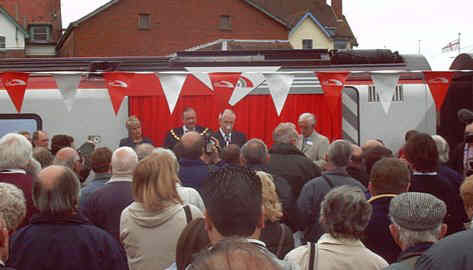 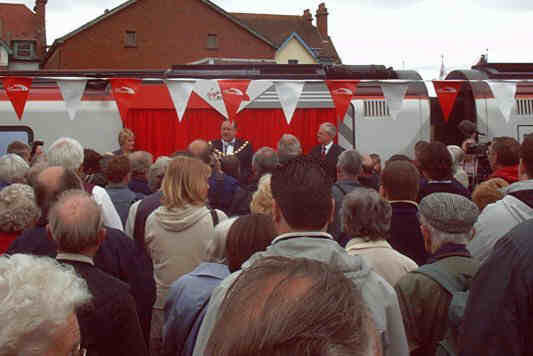 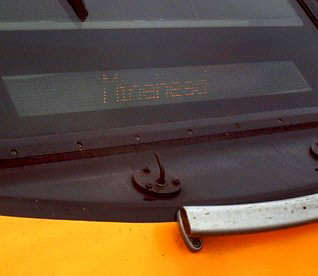 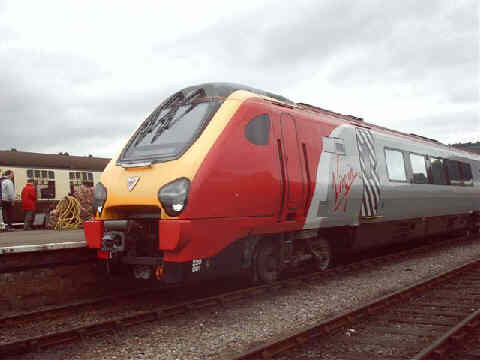 The West Somerset held a Cross Country Weekend on 10 & 11 May 2003, the centrepiece was the naming of Virgin Cross Country's Voyager 220 001 Somerset Voyager at Minehead on the Saturday. 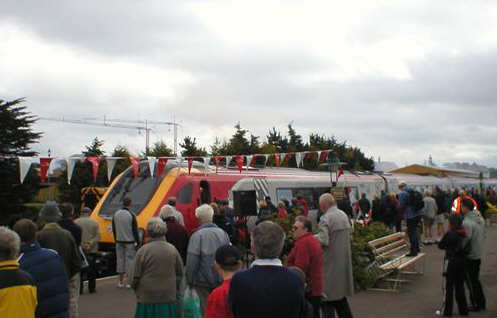 The arrival of 220001 at Minehead was greeted by fireworks, just about visible in the photo by Rodney Greenway - not sure about fireworks in daylight but it was a suitably grand entrance for 220 001. 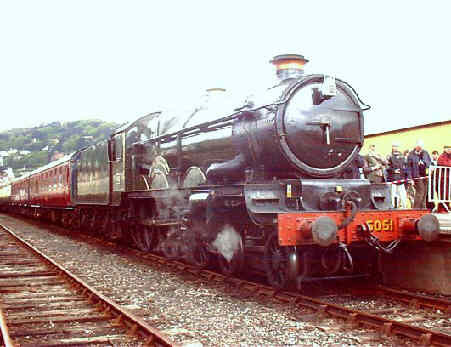 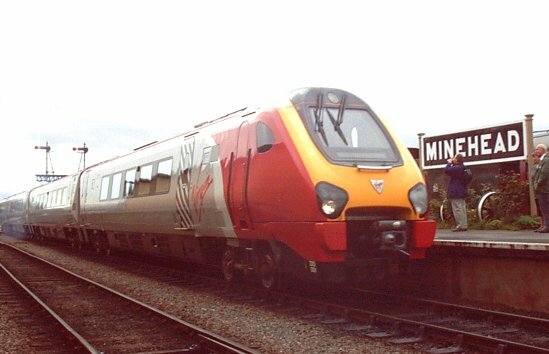 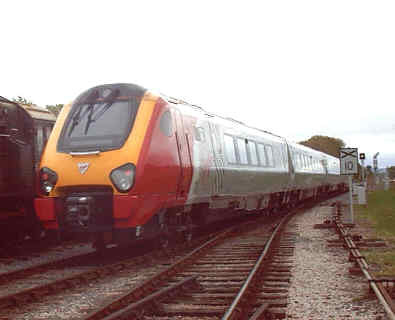 It is seen here running into a crowded platform 1 at Minehead. 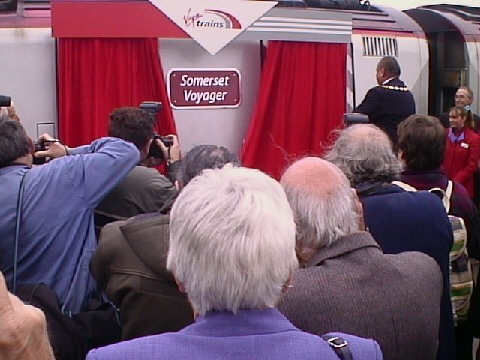 The view from the other side of the Voyager arriving, taken by Jon Tooke. 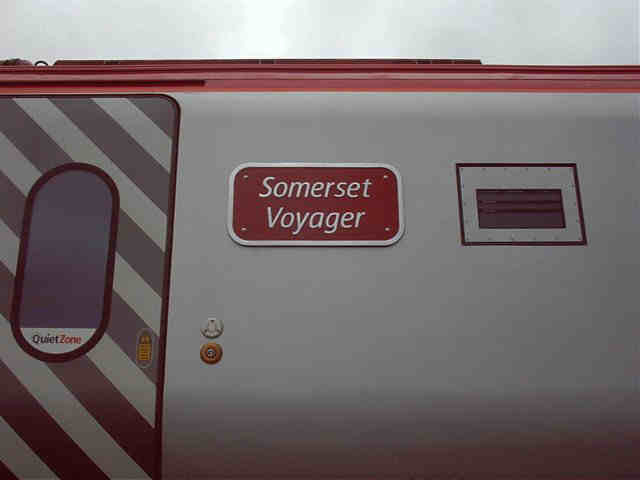 The Voyager then worked a WSR service to Norton Fitzwarren and back, Jon caught it here leaving Minehead.